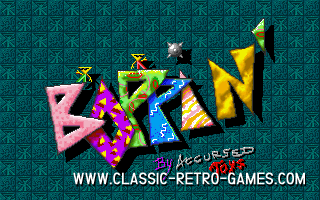 Boppin' is not as old as most games we review, however we do consider it retro. 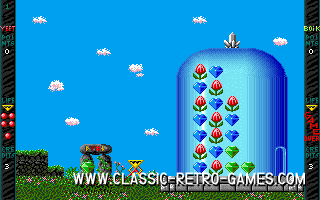 There's even a bigger difference between most remakes and this one, because while most remade games are created by fans, this remake is done by the original authors. 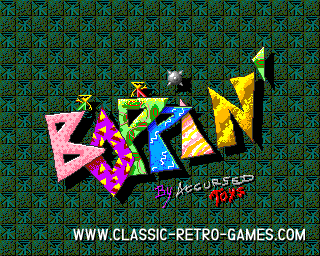 Boppin' is a platform puzzle game originally released for Amiga and later on ported to DOS. 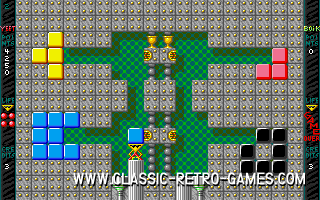 In no less then 150 (or 160 for the DOS version) levels you will have to match blocks of the same color by throwing a colored box at another one. If you miss you could lose a life, if you hit you'll free some critter and earn points. Accursed Toys has been so kind to freely remake this game for Windows and offer it as a free download as well, so quickly download and enjoy! Currently rated: 5 / 5 stars by 2 gamers.